Bulk Messaging Dashboard makes it easy to send one, or one million messages. 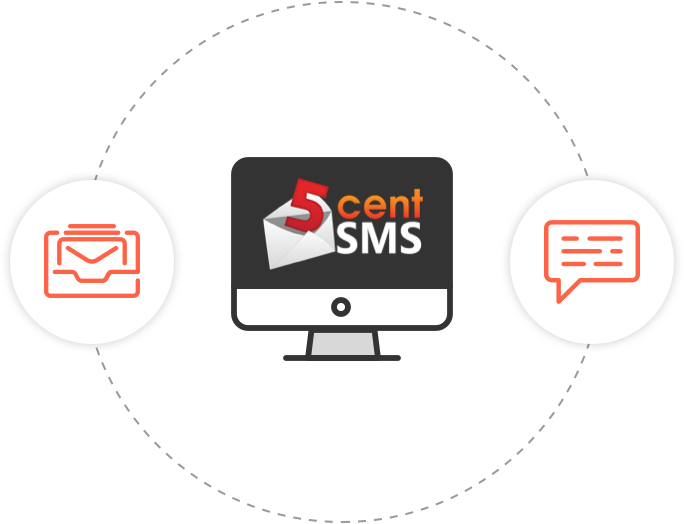 5c SMS Web Console and API allows you to send one or one million messages at once. You can send directly to a list of numbers or upload a contact list. You can send your message to all your recipients at once, schedule your message or rate limit delivery of your messages. A single SMS segment is 160 characters, but you can create a multi-part message of to 760 characters. We will automatically split up your message then put it back together on the recipients mobile. Check below your message text to see how many segments your message is made up of and how many characters you have remaining. Track the current delivery status of all your messages. We will let you know if a message has been received, failed or been delayed. You can track your messages in the Message History screen, or download the current status as a CSV. Sending out lots of similar messages? Save your message text as a template on the 5c SMS Console. You can then create new messages from these templates in seconds. Our built in contact manager lets you manage simple or complex lists of hundreds of thousands of contacts and send a message out to all your contacts or one group of contacts with a single click. Add a personal touch by including personalisation fields into your bulk messages. When sending to a contact list simply add where you'd like the person's name (or any other type of data) to appear. We'll then personalise every individual message as it is sent. Customise your Sender ID so you can let your recipients know who you are, using a text business name, use your own mobile number or a virtual mobile number. You can also use Reply to Web & Email to mask your real mobile number. Send SMS message from any email client. Email to SMS enables you to send messages from your email account. We'll convert the email automatically into an SMS message. You'll even receive replies to your email address and can reply as if it was an email message. Send messages using rich text including emoji 🤠 or any other unicode supported language character. Привет мама! Start sending messages now. We have an account ready for you with some free credits to get started!